Around 200 parents from local communities in Adelaide, Bedford, Somerset East and Cookhouse were recently awarded certificates, having completed a series of hands-on school readiness training and mentoring workshops, aimed to provide them with the skills to prepare their young children for formal schooling. In South Africa, many children from disadvantaged backgrounds are not able to access sufficient school readiness support to learn the language of learning and teaching, which results in them not being ready for Grade 1. While there are a number of reasons for this, including a shortage of qualified Early Childhood Development (ECD) teachers, the situation is compounded by the fact that parents often lack the skills necessary to support their children’s learning and development. 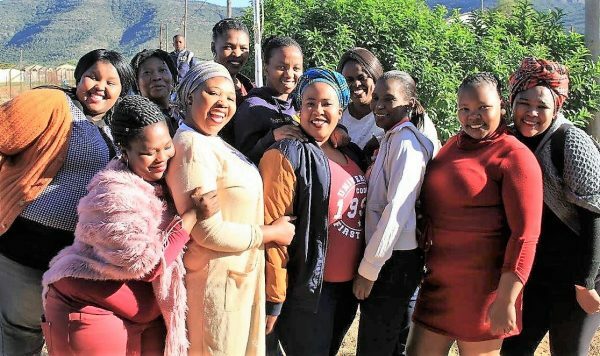 In partnership with Siyawela “Ready to Succeed”, Cookhouse Wind Farm implemented the second cohort of an ECD: Parenting Programme, Bringing Parents to the Education Table. This training programme was completed at the end of August 2018, with 191 parents receiving certificates for attending more than 50% of the training workshops and mentoring sessions. Whilst 112 parents received gold certificates achieving 88% attendance, and above. The parents who attended the BPET programme will continue to receive mentoring from the Mentor Moms stationed within their respective communities. “Workshops are interactive and loads of fun, packed with interactive activities parents can do at home with their children, whilst the home visits reinforce what is learnt in the workshops and provides the extra needed support,” explained Elton Gordon, Special Projects Manager for Cookhouse Wind Farm. The aim of the programme is to improve parents’ knowledge and skills, and so contribute towards improved school readiness of their children. The Programme was offered to parents from ECD Centres participating in the ECD Flagship Initiative situated in Adelaide, Bedford, Somerset East and Cookhouse, with a maximum of 200 participants. The “Bringing Parents to the Education Table” project is funded by Cookhouse Wind Farm, as part of its Early Childhood Development Flagship Programme. This 3-month programme has received resounding support from participating parents. It is based on the belief that for a child to succeed they need support from their parents because education starts at home. It includes interactive workshops, mentoring and home visits. One of the unique attributes of this programme is that it goes beyond the classroom to include one-on-one mentorship. This results in an increased ability of the parents to positively impact their children’s education.